It's Best Shot Monday! again over at Picture This! I struggled with choosing one picture this week... so I'm putting up two. 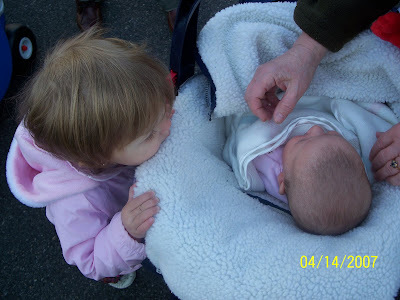 The first one is of Zoe and her cousin Nina. Zoe is just soooo interested in Nina (sometimes). I just love this shot. The second shot I just can't resist posting because 1. I think it turned out sooo much better than I originally thought it did and 2. because it was so beautiful out Saturday afternoon... and now it's raining and gray and cold and just plain yucky. 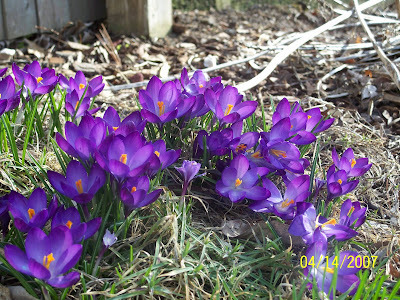 It's suppose to be this way all week... and I need this picture to remind me that Spring is coming (some day).